Under California law, HOAs are required to provide their members with certain documents for inspection upon written request of the member. (Cal. Civ. Code § 5200. Definitions § 5200. Definitions § 5200 et seq.) However, what documents do the courts require the HOA to produce upon request? The list is exhaustive, and includes financial documents, executed contracts by the HOA, agendas and minutes, governing documents, and a general ledger. (Cal. Civ. Code § 5200. Definitions § 5200. Definitions § 5200). Following the request for inspection, the HOA will generally make the documents available for copying and inspection in the HOA’s business office. A member may designate another person to inspect and copy the records on their behalf. The HOA must produce the records in the applicable timeframe allowed by law. (Cal. Civ. Code § 5200. Definitions § 5200. Definitions § 5210). The allotted amount of time depends on the type of document the member requests. For example, records prepared during the fiscal year in which the request is made must be furnished within 10 days following the HOA’s receipt of request. A request does not come without a cost. The HOA may charge the requesting member no more than $10 per hour, not to exceed $200, to prepare and redact the documents for inspection.(Cal. Civ. Code § 5200. Definitions § 5200. Definitions § 5205(g)). The law permits the redaction of records under certain circumstances, for example, if the information is privileged or the information is likely to compromise the privacy of another member. However, the records regarding the compensation paid to employees, vendors, and contractors may never be redacted. (Cal. Civ. Code § 5200. Definitions § 5200. Definitions § 5215). Additionally, the law imposes restrictions on the use of the records. A member may not sell the records, use them for a commercial purpose, or use them for any purpose other than what is reasonably related to the member’s interest as a member. (Cal. Civ. Code § 5200. Definitions § 5200. Definitions § 5230). 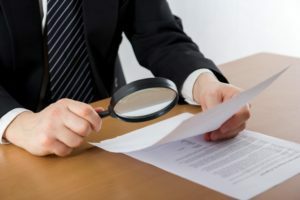 If an HOA refuses to provide a member with records, the member may bring an action to enforce the member’s right to inspect. (Cal. Civ. Code § 5200. Definitions § 5200. Definitions § 5235). The court will award attorney’s fees and costs if the court finds the HOA’s decision to prevent access to the records was unreasonable. Furthermore, a civil penalty of up to $500 may be levied against the HOA for the unreasonable denial of each separate written request to inspect. As always, attempting to resolve the matter through internal dispute resolution and mediation is advised before filing suit, to both reduce attorney’s fees, and to make the possibility of such fees awardable.